The Highly Exceptional Load (HEL) that will reach ITER this week will be one of the most spectacular to date. 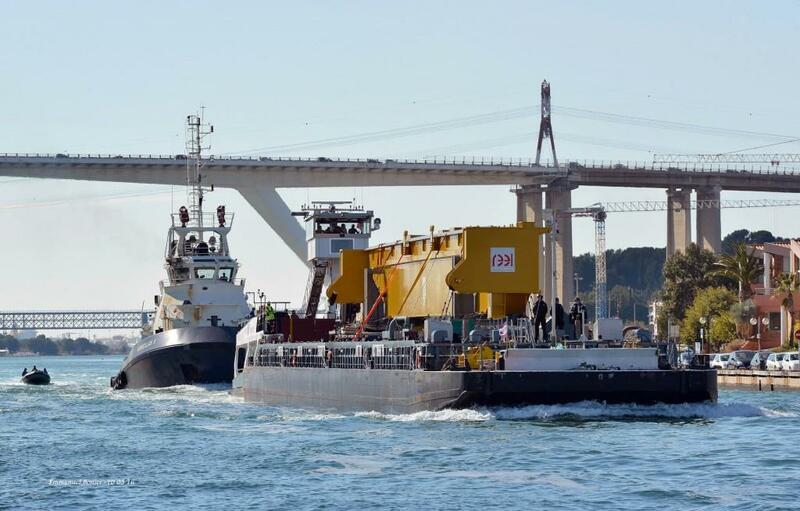 A 67-metre-long convoy—weighing 300 tonnes and powered by two trailers—will start its slow and careful way along the ITER Itinerary tonight, and take a total of four nights to cover the 104 km to the ITER site. 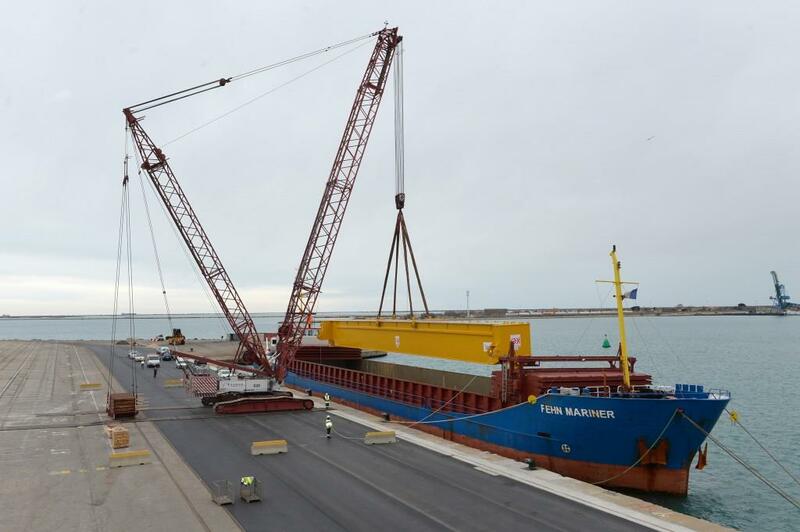 The massive convoy is delivering the first of four 47-metre steel girders that will span the width of the Assembly Hall in order to support the overhead cranes and their heavy charges of up to 1,250 tonnes. 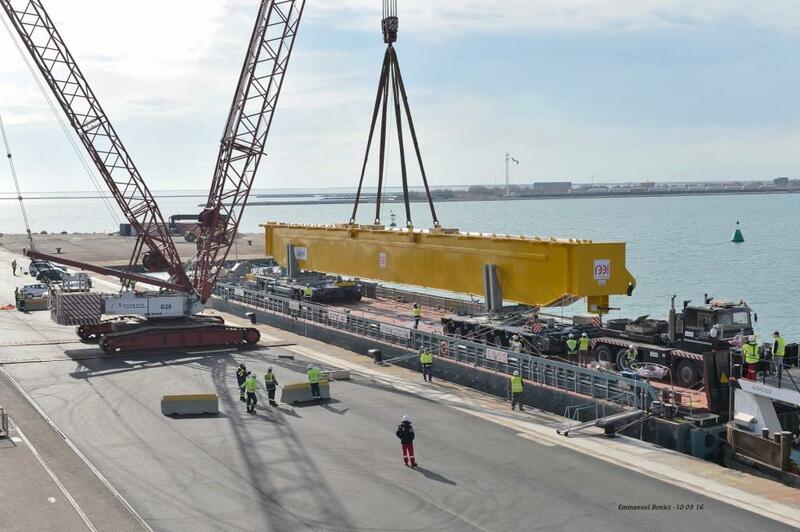 Manufactured in Aviles, Spain, for the European Domestic Agency, the first pair of girders reached the Marseille industrial harbour of Fos-sur-Mer on 8 March. 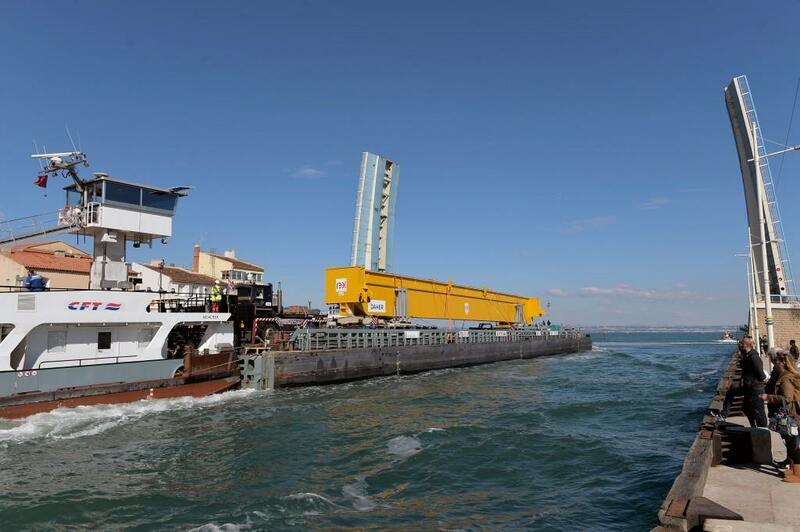 Girder #1 was transferred the next day to a specially designed barge for a four-hour voyage across the inland sea Etang de Berre. 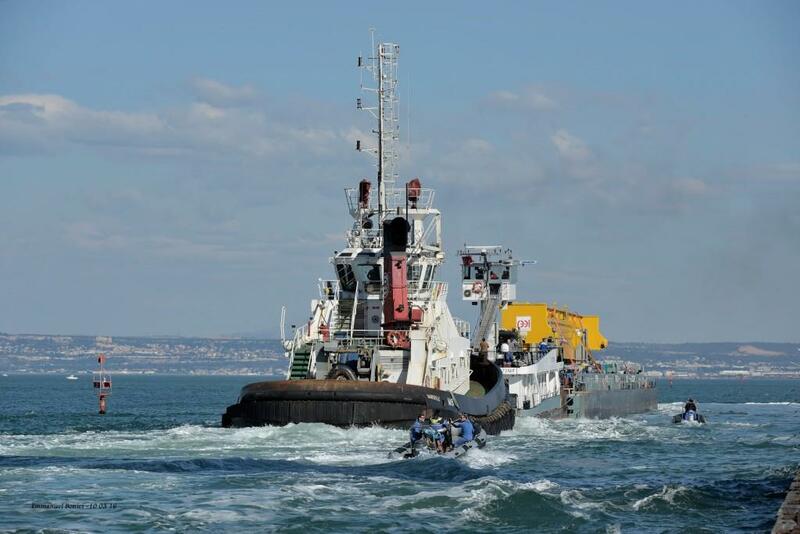 After travelling the length of the Itinerary it will reach the ITER site early on Friday 18 March. 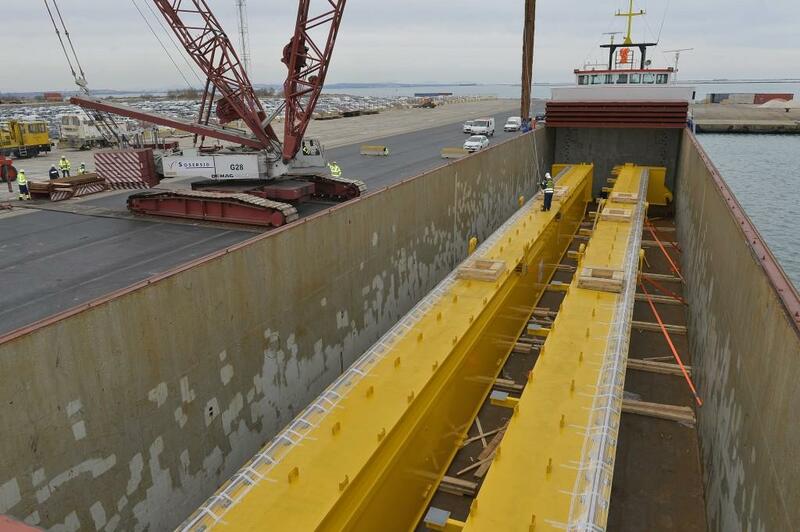 Girder #2 is expected on site on 25 March, followed by the delivery of the second pair of girders in May. Passing "The Venice of Provence"